Sending tax organizers to our clients each January detailing each item necessary for the completion of their tax returns. This ensures accuracy, limits miscommunication, and decreases the cost to our clients. Using tax projections to estimate clients' liabilities before they are due. Offering customized tax calendars including tax due dates. Employee Benefit Plans including pension plans, profit sharing plans, cafeteria plans, 401K plans, and section 125 plans. Entity structuring ---sole proprietorship, partnership, limited liability company, corporation. Family wealth planning -- estates, trusts, gifts. 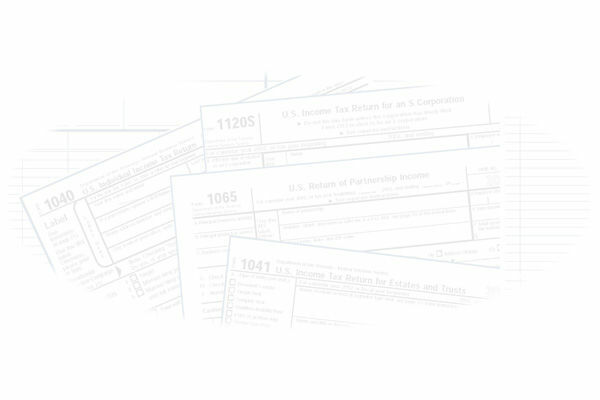 Individuals for tax preparation, planning, and projection. Payroll accounting including both annual and quarterly tax return preparation.